All that's left of the alpaca-fleece nesting material ball is the grapevine core and a wisp of fluff. 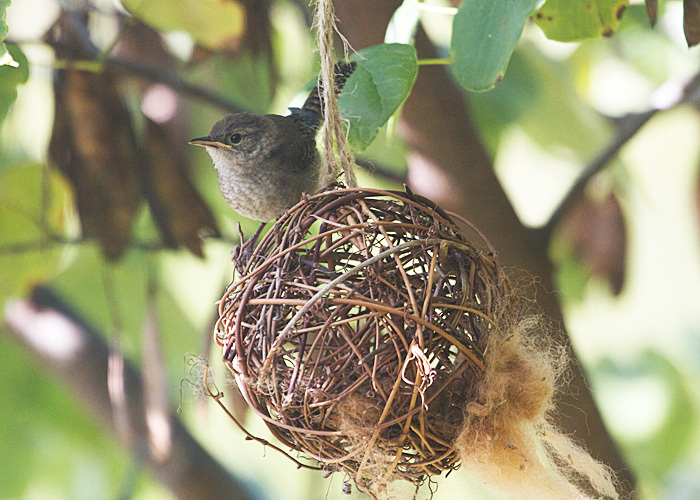 This house wren is now using the ball only for a perch, but yesterday I saw an American goldfinch pluck a beak full of fleece and fly off with it. It amazes me that goldfinches can be starting nests in late August.